Asheville GreenWorks began in 1973 as Quality '76 to celebrate, cleanup and prepare for the nation's Bicentennial in 1976. A group of Asheville residents visited Switzerland and were inspired to come home and beautify their hometown. Knowing that our mountain environment, architecture and people are as beautiful as any European village. Quality '76 was started with a $2,000 grant from Wachovia Bank under the umbrella of the Asheville Area Chamber of Commerce. 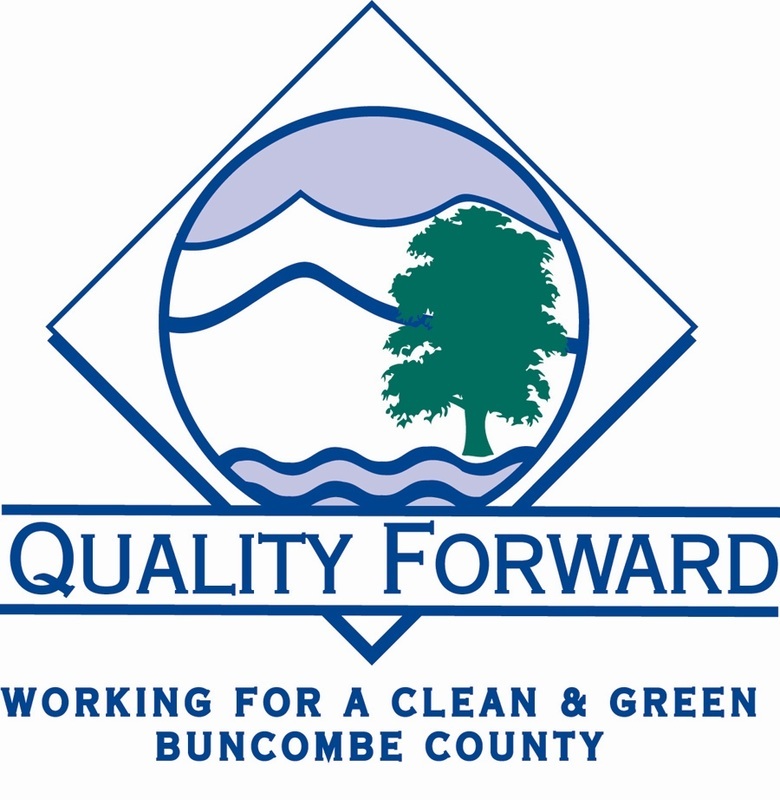 One of the first projects Quality '76 engaged in was the cleanup of the then polluted Swannanoa River. With hundreds of volunteers, help from scuba divers and towing companies, they began the task of hauling out decades of trash from the river. Cars, appliances, construction waste and household garbage were among the many items retrieved that summer from a section of the river by the old Sayles Bleachery (now Walmart). This river cleanup effort was only the beginning. We then jumped in the French Broad and her tributaries to continue the effort. Thus began "Clean Streams Day" a celebration and cleanup of every major river and stream in Buncombe County in the month of May. At the same time we began a movement to green up and cool down and green up our downtown area with trees. Many of the trees present today in our central business district were planted by those early volunteers. 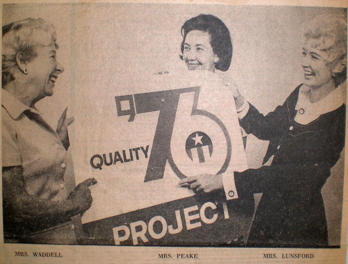 With Quality '76 completing it's mission for the Nation's Bicentennial Celebration, it was time to look ahead and a new name was chosen "Quality Forward". From 1976 to 2007 Quality Forward was a name that meant Education, Beautification, Advocacy and Stewardship. In 1977 we introduced a new character Caty Cleanup to work with our local schools to teach respect, love and stewardship for the environment. 1979 we joined with the National Arbor Day Foundation to designate Asheville as "Tree City USA" The City of Asheville has been honored with this award every year since 1979 for our collective efforts to plant, preserve and celebrate trees. Many programs started in those early days are still mainstays today. Adopt a Street, Clean Streams Day, NC Big Sweep River Cleanup, Father's Day Garden Tour, Arbor Day Celebration, Earth Day, Tree City USA and the Great Asheville-Buncombe Cleanup. In 2007 our Board of Directors decided that it was time that our name should reflect the type of work that we do. Same mission, same group of tree hugging, river cleaning environmentalist with a more fitting name. To this day Asheville GreenWorks remains the most active volunteer environmental organization in Western North Carolina. Consider joining the tens of thousands of Volunteers that have worked for a "Clean & Green" environment, or support our efforts with your Membership. We need both to continue serving the community we love. Love Where You Live!